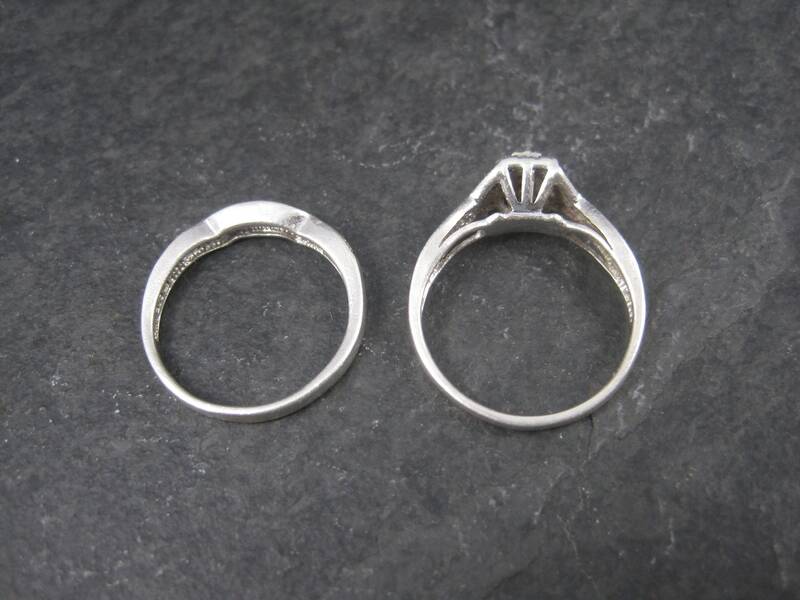 This beautiful wedding set is sterling silver. 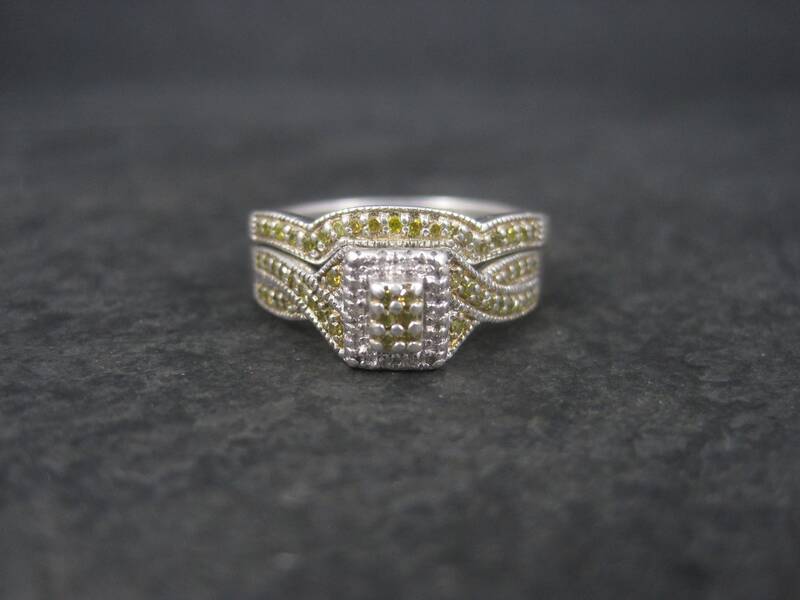 It features yellow and white diamonds. 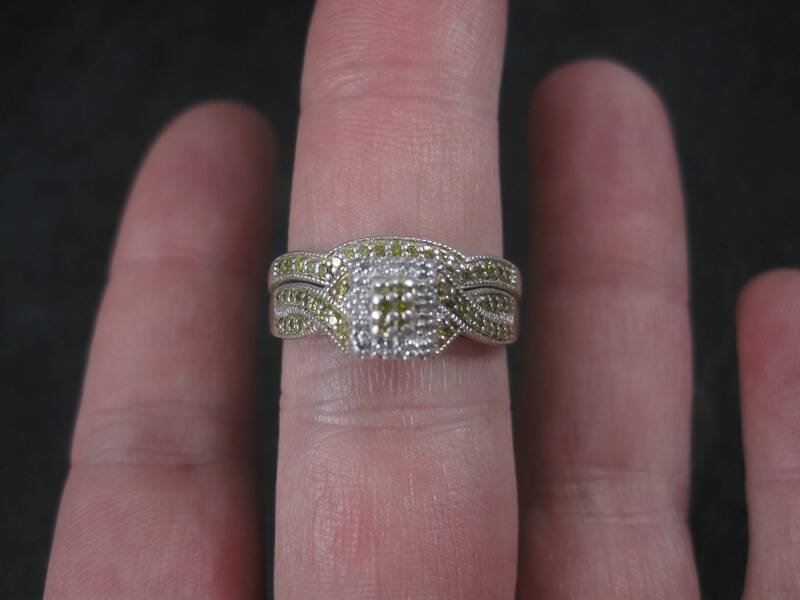 It is an estimated .20 ctw. 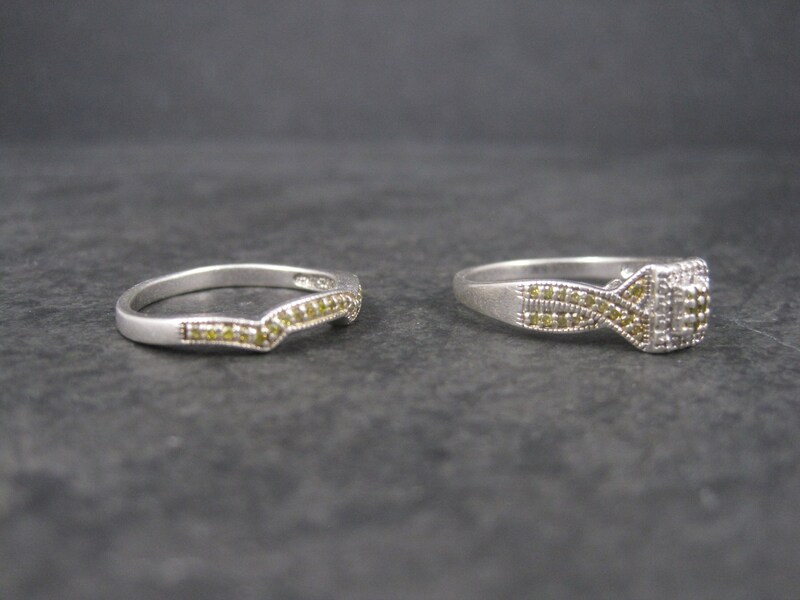 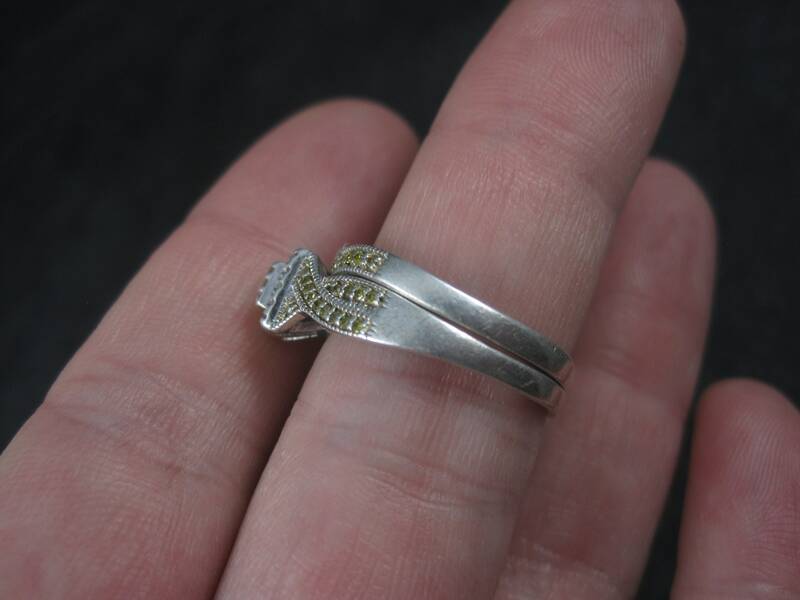 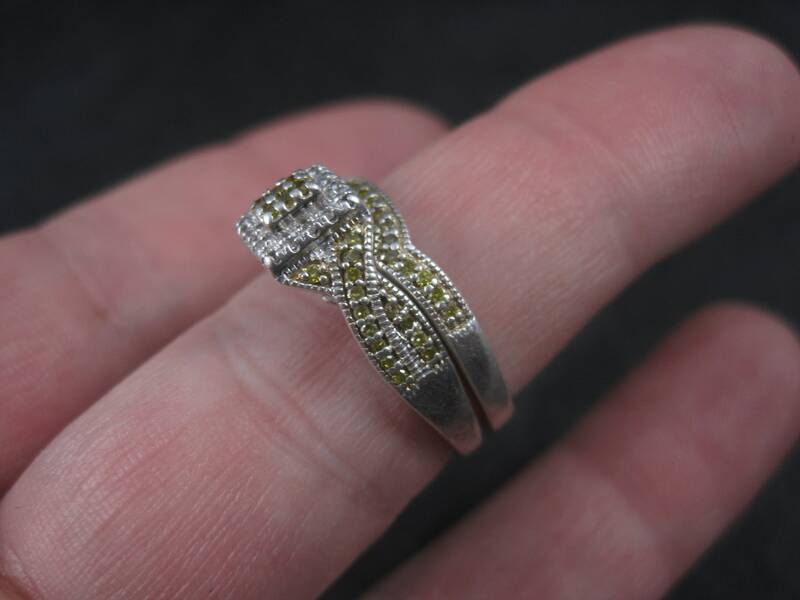 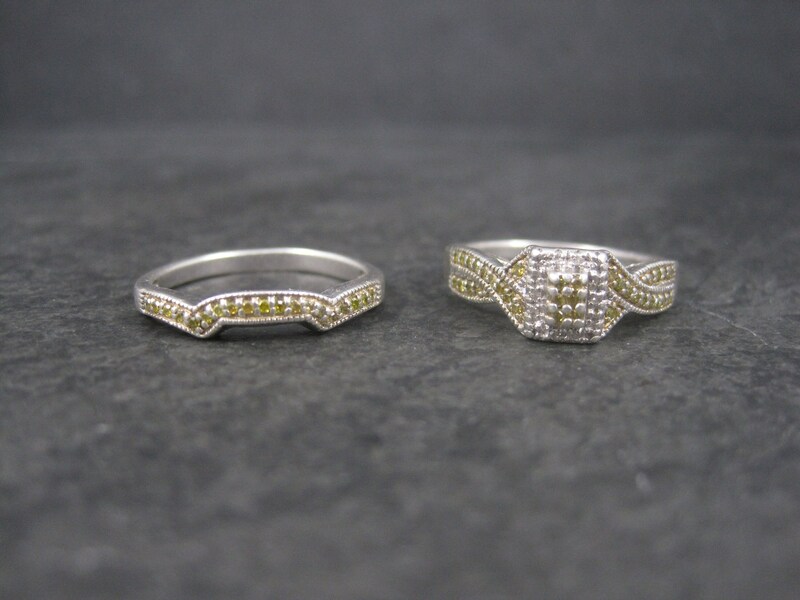 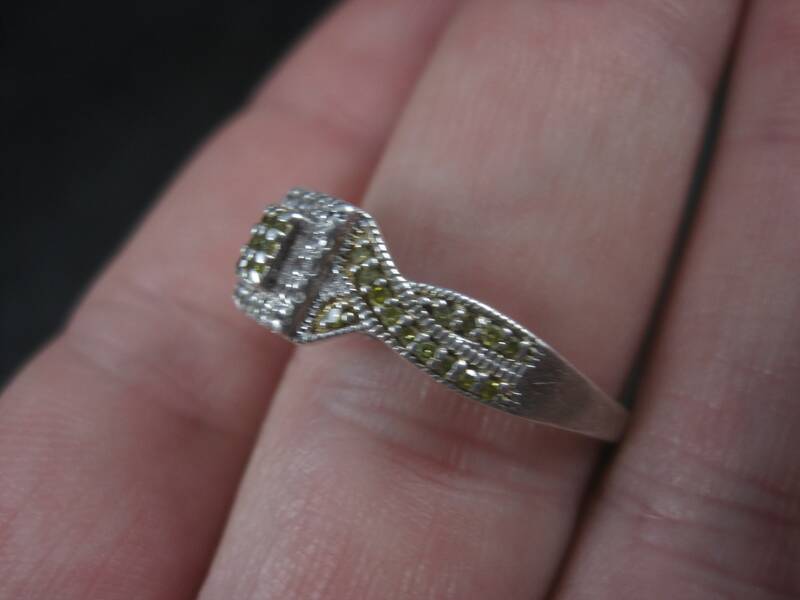 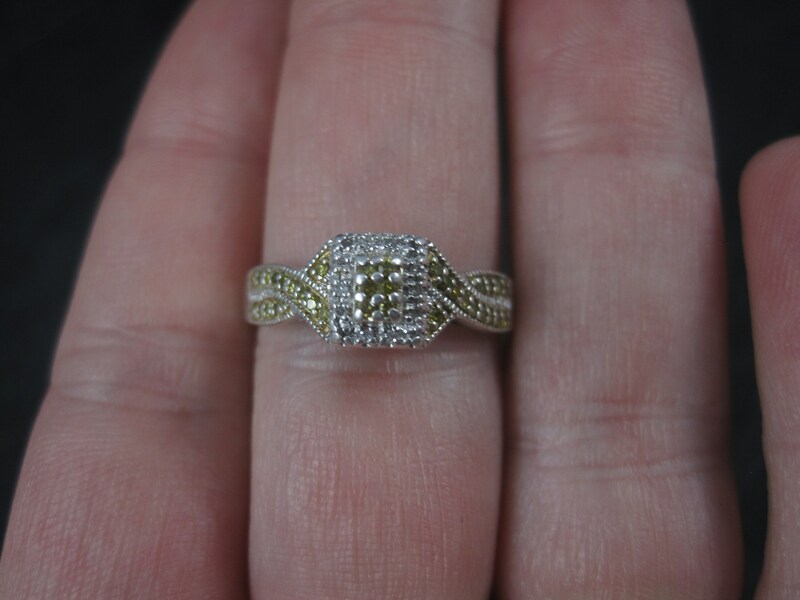 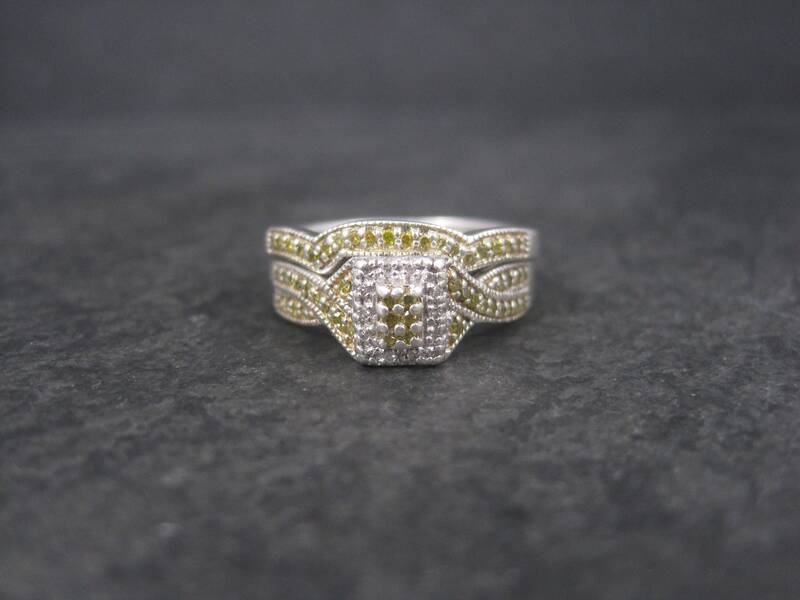 The yellow diamonds are most likely heat treated to bring out that vibrant yellow color.